Preparing For Seo In 2017 – Yes It’s That Time Already! Yes, it’s that time already! How fast the year goes by when you are head down working on creating significant advertising campaigns. What SEO Strategy Are You Using In 2017? The world of SEO continues to change at a rapid speed. Continuous Google Algorithm updates that keep our digital marketers busy making adjustments to our client’s campaigns. We met Panda, Penguin, Hummingbird and now Fred, thanks to Google’s evolving search algorithm we now have a zoo animal collection to optimise for. Google’s search algorithms change on an almost monthly basis, see how search works here and understand the process involved. As SEO specialists our team has to be ahead of the curve when it comes to what is working in local search and where it’s heading. Local business is facing an adaptive shift in the way consumers find new retailers and purchase products online. The Yellow Pages announced they will be closing down on the physical book printing in 2019 and mobile search is leading the way that consumers search every day. Fast Page Load Speeds – Mobile search is the most used search online, to compete you NEED a fast loading website. AMP compliance – Accelerated mobile pages create’s a stripped down version of your web page to serve to mobile viewers. Quality Content – Content is king and quality informative content provides a solid impact on your SEO campaigns. Optimised Meta – Metadata is the description snippet that you provide about a web page for users to understand in short what it is they will be visiting in search results. Link Building – Links are of huge importance with Google using your link profile to identify your network and associations online. These are the key points to take away and what makes an impact in 2017. We are heading towards a new type of search with VR and voice search on the rise and a huge increase in social marketing online. 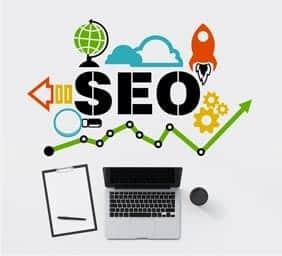 Contact us today, we can help you come up with an SEO and Digital Marketing Strategy that aligns with your overall company goals and objectives!